An overview of my favorite money-making survey sites! I found that working full-time with two little kids and doing everything on my own was leaving me little time to actually live, so in the past couple years, I’ve found ways to survive on part-time hours and still pay my bills…and even have some fun! I have a number of things I do to earn extra money, including product testing and using survey sites. Depending on how much time I devote, it is not unrealistic to make $5 a day doing the bare minimum in surveys that are mailed to me. If I have an emergency, I do more. (For example, a couple weeks ago, I had a pipe burst under my kitchen, and I didn’t have enough money to cover the repair. I got online and started taking surveys!) It’s not a lot, but it helps. I can’t count the times that cashing out on a survey site has rescued me from a financial bind or helped me make the last few dollars to pay a bill. People often ask me about what sites I use, and I’m glad to tell! But, I’ve been doing this for over a year now, so I’m really familiar with the sites and the ways to optimize my earnings. For a newbie, it’s probably completely overwhelming. So, I decided to post a basic overview of the sites I use, how they pay, and how much you can earn. I would recommend starting with a small number of sites at first, then adding more when you get used to them. When you first start doing surveys, you will earn a lot faster at first, because all of the surveys will be new. After a while, the old surveys are all done, and you just get the new ones in your e-mail. At that point, it’s easier to start adding other sites. These days, I just try every survey that comes in my e-mail, because sites usually only send you the best options. If I need to make money more quickly, I can always go to my favorites sites and look for more surveys. Some sites will allow you to put in a bit of time and earn more quickly, while other sites take just a few minutes a day to earn slowly. Still, I take the couple minutes it takes on the slower sites, because they do add up–especially if you use a bunch of sites at once. Global Test Market: This site is currently my favorite. You have to earn 1000 points to cash out–and it’s possible to do that in a month or less. I usually save up a bit more because the payout options don’t add up to exactly 1000 points. For example, at 240 points, you can get $10 in a Paypal payment. For 220 points, you can $10 in a gift card, (I always choose Amazon!) The average survey pays 30 points and takes 5-10 minutes. The surveys are plentiful, and it’s easy to surf through and finish several surveys a night. It is not hard to reach your first 1000+ points in a month and get $40-$50 in rewards. Also, some of GTM’s surveys are screeners to find people to test products at home. I have tested a bunch of different products–things I would actually buy–which has saved me quite a bit of money on home goods and toiletries. Plus, some of these products are really good, so I enjoy them! Mintvine: This is another site with plenty of surveys, (plus points for taking a daily poll or being rejected for a survey.) It is easy to earn points very quickly. Their point system is pretty easy–1000 points is $10 worth of credit. You can get gift cards or Paypal, but you have to have at least 1000 points first. It is not hard to get to the first payout, especially since there are several new member bonus options. I would say it is possible to earn $20 a month on this site if you take all your options. The most I’ve earned was $40 in one month. Swagbucks: This isn’t really just a survey site, although there are survey options. I usually don’t even take many surveys there, unless I’ve used up my other ways to earn points. This site pays in gift cards based on points. You can cash out as little as $3 for 300 points. On this site, I make points by watching videos, watching ads, interacting with ads, taking short polls, and more. Each day, Swagbucks assigns you a point goal, and if you hit the goal, you get a bonus. I always try to hit the smallest goal at least. That is about 30-50 points a day to get a 10% bonus. It’s not hard to get there with very little effort. In fact, since Swagbucks randomly rewards you for using their search engine, you might get 15 points for just one search! The more you search, the more you can earn. I’ve have earned as much as 300 points in one day just by doing easy things. Typically, I hit around 50–which equals out to about $15 a month. If you do surveys, it adds up a lot faster. In my experience, this is a good start to making some extra money online. I will continue posting some more overviews soon! Posted in Finances, Making Money Online, On a Budget, Products That Really Work! Napoleon Hills book “Think and Grow Rich” is considered a classic self-help book along the lines of “How to Win Friends and Influence People” or “The Power of Positive Thinking.” Many people swear by it. This book is a companion to it and includes many of the same ideas, except in shorter excerpts that are easier to read. It’s broken down into 52 short chapters–one for each week. I admit, I’m reading one per night. (I’m ready to be rich 😉 ) Okay, so I’m not rich yet…but this book is very inspiring. When I read it and the examples, I feel like I really can use my talents to make my dreams come true. Hill makes riches and success seem achievable. But, he focuses on the importance of devotion to your goals, being specific, working hard, and having a strong desire to succeed. You can’t just want it to happen, you have to make it happen. He emphasizes that you need to have a real plan, and you need to believe in and stick to it. He also points out that the people who succeed are those who persevere through multiple failures–the people who don’t give up. Overall, each chapter emphasizes a characteristic that could help us in many ways. Plus, rich is subjective. Maybe rich is being self-employed, having your dream career, being happy…or maybe it really means having tons of money. Any way you look at it, you can benefit from reading and using the ideas in this book. I’m currently job hunting and working on multiple start-up business ideas. I’m using Hill’s tips, so hopefully I can write a very positive blog update in the future! I started this blog to review all the self-help and life-improvement books I own, plus to add some helpful tips as I come across them. I’ve ended up posting about survey sites a few times. I guess that goes along with the “Life As You Make It” theme, though. I’m using the survey money as extra funding to reach my financial goals, so that’s definitely me making my life better, right? Anyway, I went out to the mailbox today to get my mail from Saturday and I found four checks! One was for $40 from Inbox Dollars, one was for $6 from Pinecone Research and the other two were from Nielsen Voice for $5 and $6. So…a total of $57 in my mailbox! All for little tasks I did from my laptop while eating a meal or to wind down before bed. I’m probably starting to sound like a fan girl, but I love that I can get this “easy” money to supplement my regular income. Even though it’s not a huge amount, it’s really going to make a difference for me. I’m using other sites as well, so I think $100 a month is a realistic expectation. $1200 a year from the comfort of my home? I’ll take it! There are a lot of survey sites out there, but I really like Inbox Dollars the most because it brings multiple options into one program. I expect to cash in my next $40 check in the next week! So I’ve posted a couple times about using Inbox Dollars as a way to bring in a bit of extra money. I’m still doing it and I’m still pleased! I’m now up to about $70 just from this one site in just over a month. Plus, I’m a gold member now because I’ve cashed in my first payment. After you become a gold member, you get some extra perks and some of the tasks on the site pay a little more. Again, I’m not getting rich, but considering I’m doing random surveys and some offers at my kitchen table while I snack or eat dinner, I’m more than happy to get paid a few dollars a day! Once you’ve gone through and accepted or signed up for the various offers, you can still take daily surveys. For every survey you take, you get to spin their game wheel to win a prize. The other day, I won a $5 bonus!Just for spinning a virtual wheel! I frequently get 5-25 cent bonuses. Surveys usually pay 25-50 cents, but they are short and easy. Sometimes, they pay more. A few days ago, I took a survey that paid nearly $4. When you consider all the options for offers, surveys, bonuses and more, the pocket change you can make really adds up. 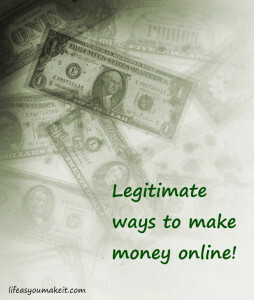 You can also earn change for viewing their sponsored e-mails or using their search engine. In about five weeks, I’ve reached $40 and cashed out once, plus I’m currently 3/4 of the way to cashing out again. This is definitely a great site to look at for a few minutes a day to make a few dollars a day! So I’m still working with Inbox Dollars and I’m pleased! I won’t pretend I’m getting rich or making a living, but I have made nearly $50 in three weeks doing very easy things with minimal time. That’s not bad! 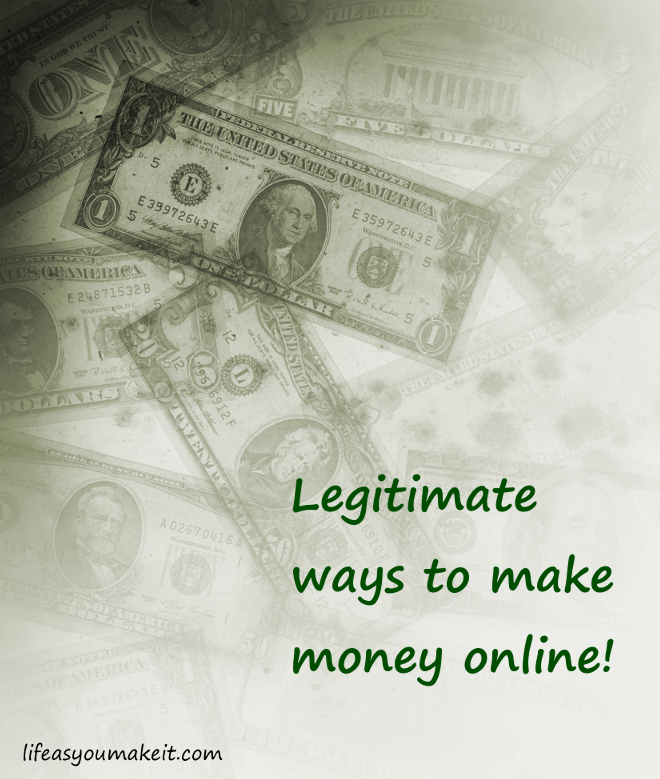 With this site, there are a variety of ways to make a few cents or dollars–including watching videos, playing games, making purchases through other sites, signing up for various offers and taking surveys. I have taken a lot of surveys, signed up for some freebie offers, played their Spin and Win game, used their search engine and more, but the surveys are the biggest part. I get e-mails throughout the day alerting me to make a few cents by verifying I read them. I can earn more if I accept the offers. I’m on a tight budget right now, so the few dollars I make each day on this site, (plus what I make on others,) is going right to bills. Every little bit helps! There are a ton of survey sites out there and I simply don’t have time for all of them, so I’ve narrowed it down to the couple that pay off the most. The other one I really like is My Soap Box. I don’t get a bunch of surveys there, but the ones I do get have a better pay rate than other sites. This site pays in points that are redeemed for gift cards, (I’m going for the Amazon.com card!) I have earned the equivalent of over $5 in a week by doing just a few minutes’ worth of surveys and I’m also working on two larger projects that will pay me $10 and $25 for a few minutes of product testing. I do all of these while I’m eating a meal or to relax before bed, so it doesn’t take much time. I highly recommend both of these sites. I don’t think it would be unrealistic to make about $100 a month between the two of them if you put in a small amount of effort. It’s great for paying down debt, making extra pocket money, building savings and more!